“This transaction strengthens our financial foundation..."
Symantec has entered into a definitive agreement to sell its information management business, known as Veritas, to an investor group led by The Carlyle Group together with GIC, Singapore’s sovereign wealth fund, and other expected co-investors for $US8 billion in cash. 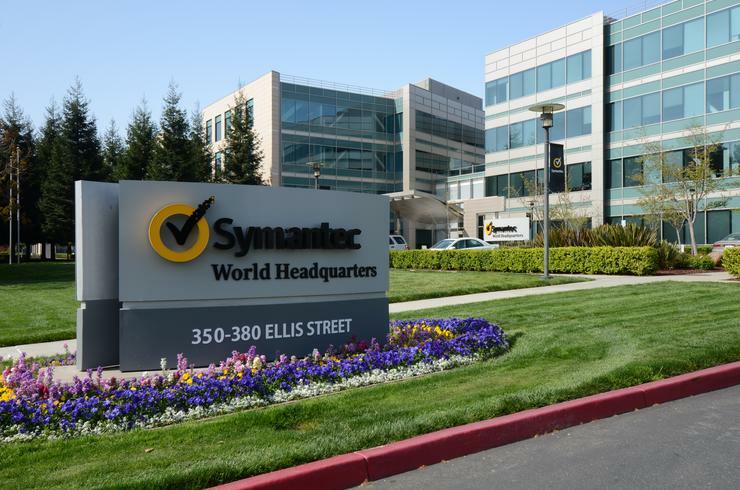 The transaction, which was unanimously approved by Symantec's Board of Directors, is expected to close by January 1, 2016. Upon closing of the transaction, Symantec expects to receive approximately $US6.3 billion in net cash proceeds, subject to certain customary post-closing adjustments. The security firm claims the Symantec Board has authorised a $US1.5 billion increase to its existing share repurchase program, bringing the total to $US2.6 billion, with $US2 billion expected to be returned to shareholders over the 18-month period following the close of the transaction. The Board has also determined that Symantec will maintain its quarterly cash dividend of $US0.15 per common share, which represents an overall increase to the company’s dividend payout ratio post-separation. Between its dividend and share repurchases, Symantec expects to return about 120 per cent of its after-tax domestic cash proceeds from the sale to its shareholders. “This transaction strengthens our financial foundation, paving the way for Symantec to grow its security business and increase its lead as the world’s largest cybersecurity company,” says Michael A. Brown, President and CEO, Symantec. Brown adds that the all-cash transaction provides Symantec with “significant proceeds” to continue organic and inorganic investments in the rapidly growing market for security products and services, and to support its capital return initiatives through the purchase of common stock and its dividend. “Since the Board first announced the separation of Veritas, we have been preparing the company to operate independently and evolving our business strategy, while continuing to deliver industry-leading solutions to our customers,” adds John Gannon, Symantec Executive Vice President and Veritas General Manager. “We are thrilled to partner with The Carlyle Group and GIC, which have a strong track record of successfully growing businesses and share our dedication to Veritas' strategy and success. The Carlyle Group has announced separately that Bill Coleman and Bill Krause will become CEO and Chairman, respectively, of Veritas upon closing of the transaction. “Veritas is a market innovator with global scale, an iconic brand, and significant growth potential,” says Cam Dyer, Managing Director, Carlyle. “Bill Coleman is a proven leader whose strategic vision and strong execution skills will leverage Veritas’ new-found position as a private, standalone company to grow the firm and provide customers an integrated information management solution.